Eastwood may not really be near my place, but I can't help paying it a visit as it's filled with tons of food spots. As one of my reader puts it, Eastwood is Eatwood. However, although there are a lot of restaurants in the area -- ones which I haven't tried yet, the beau and I decided to dine at the more common TGI Friday's one weekday afternoon. The one-year old TGI Friday's Eastwood has replaced IL Pirata Italian Restaurant last year, a month after the beau and I paid it a trip. It's quite sad that I didn't even had the chance to blog about the pirate-themed resto before it closed, but no use whining now. 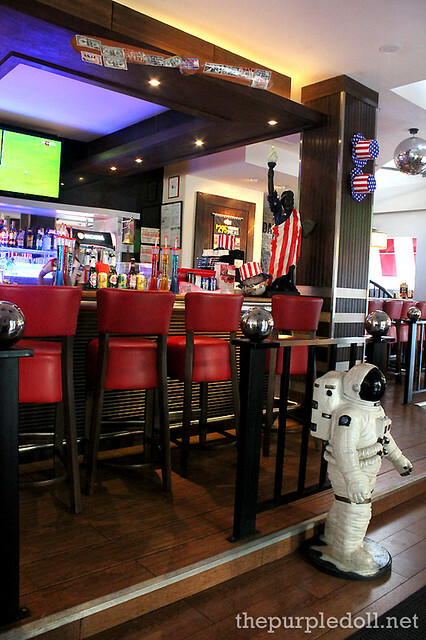 I'm just glad that TGI Friday's did a nice job refurnishing and owning the place, transforming the dim boat-influenced restaurant to a hip and engaging sports bar-resto. While I've often been visiting Italianni's, Bulgogi Brothers, Village Tavern and Ma Maison recently, I have to admit that I don't really frequent TGI Friday's among The Bistro Group restaurants. I guess it has something to do with Friday's always being packed whenever I pass by, plus the fact that I prefer other more un-common restaurants. 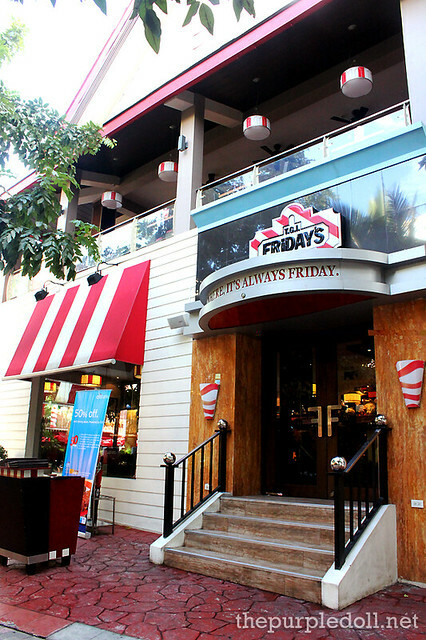 However, since it was a weekday afternoon and the beau was craving for some American fare, we didn't even think twice and headed straight to the red and white-donned TGI Friday's for lunch. 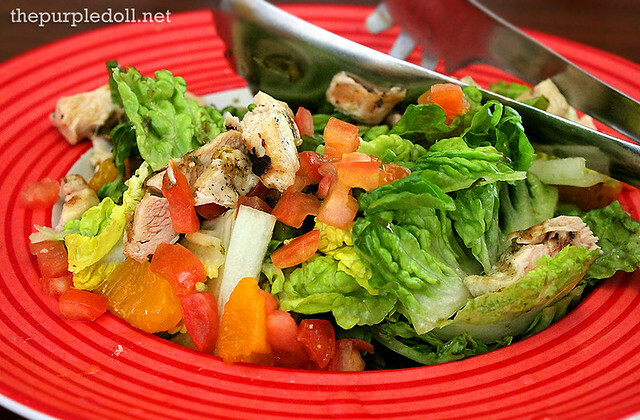 For a starter, we ordered the Shanghai Chicken Salad (P455) -- chilled fire-grilled citrus chicken breast on a bed of Romaine lettuce, Mandarin oranges and diced tomatoes, served with a cilantro-lime dressing. While I expected strong acidity from this dish, I was very pleased by how balanced this salad tasted. 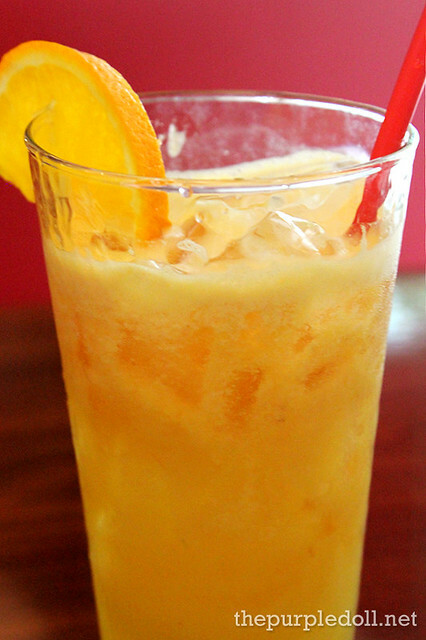 The chicken slices were smoky and flavorful, a great contrast to the fresh veggies and sweet yet tangy oranges. The savory and acidic dressing also tied the flavors really well, making this a lovely appetite whetter. We then had the Blackened Chicken Alfredo (Small P355; To Share P565) since the beau was craving for some white-sauced pasta. Unlike the ordinary Alfredo, this plate has New Orleans-style blackened chicken breast atop a bed of creamy fettuccine Alfredo with tomato and green onion slices. Like the chicken breast on the salad, the chicken in this dish was also good. It was more savory and smoky too. However, we thought the fettuccine Alfredo can still use some more flavor since it wasn't as rich as we expected. We had more than enough food to stuff ourselves to the brim. But since I'm not exactly a white-sauced pasta lover, I decided to get another pasta dish since it was Wednesday's Weekday Special, the Spicy New Orleans (Small P335; To Share P535) which To-Share order we got for only P295. This plate also had fettuccine tossed with sautéed chicken, plus mushrooms, onions, red and green bell peppers served with a signature spicy tomato creole sauce. This pasta dish was definitely my thing. However, the bell peppers became quite tiring for the taste buds (not a big of a fan here) after a while. It was coincidental how we ended up with a salad and two pasta dishes which all had chicken. So to have more meat and break the monotony at the same time, we decided to have some Baby Back Ribs (Half Rack P675; Full Rack P1,195) -- fire-grilled and glazed fall-off-the-bone tender pork ribs served with a tangy barbecue sauce, some fries and coleslaw. 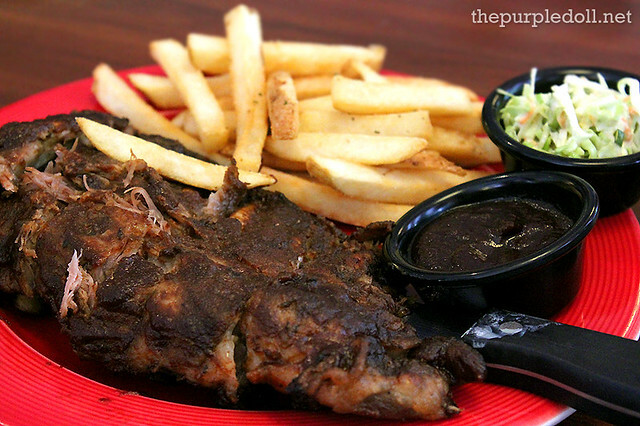 Just as promised, our half rack of ribs were really so tender that they easily fall off the bones! They were also very succulent, very flavorful and very filling. We were already so full at this point, but our lunch wouldn't be complete without dessert, so we had the Brownie Obsession (P295) -- a warm and hearty piece of brownie drenched in rich and dark chocolate-fudge sauce, topped with vanilla ice cream, dark chocolate bits, caramel sauce and pecans. 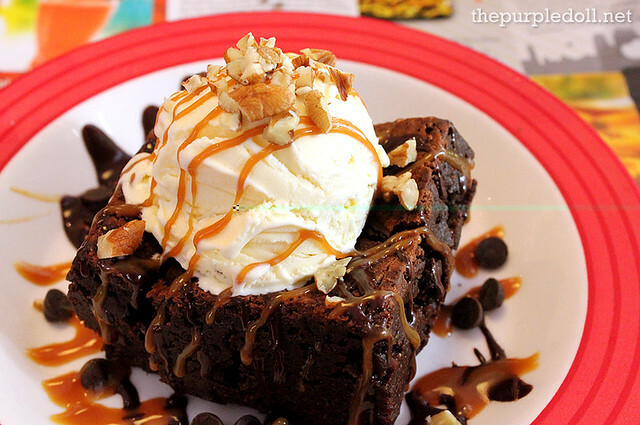 Being brownie lovers, the beau and I both dig this simple yet lovely dessert. The brownie was slightly crispy on the outside yet warm and chewy on the inside. 'Twas the perfect ending to our very filling weekday lunch. 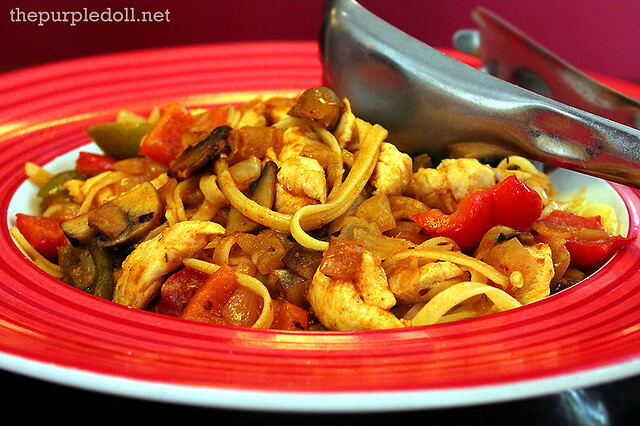 Although TGI Friday's isn't really one of my go-to restaurants, I was quite pleased with our recent visit. The flavors may not totally jive with my taste buds' preferences, and prices may not always be friendly to our pockets, but I can honestly say the quality of the food was great as expected from a famous member of The Bistro Group. The service we received that day was also commendable as our server was very courteous and alert. I think I may have to come back to TGI Friday's more often if the budget permits. 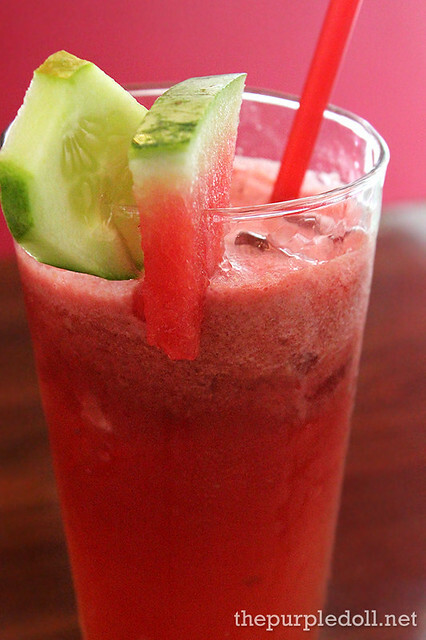 Maybe in the near future, the flavors at TGI Friday's and my taste buds might click. 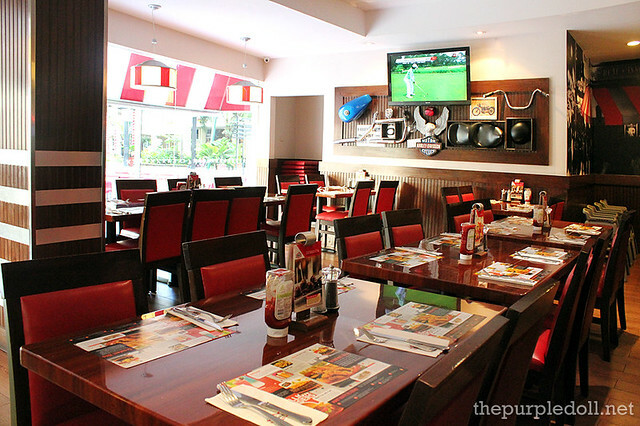 Let me know how their burgers fare :) On our next TGI Friday's trip, we might try their Jack Daniel's-infused dishes. Did you enjoy eating brownie obsession? It looks yummy at the pictures! That brownies!! it's soooo tempting!! One reason why I don't frequent TGIF is the price. I would say it's a good place to visit when dining in a group of 4 or more. I do love their foods though. That Brownie Obsession is calling me, haha! The food all seem so good in the pictures, but the prices are not. Haha. I know that TGIF is for the mid to upper class markets. So it's wise to acquire their membership card to avail of the discount. There is no TGIF in my place .I miss their food especially the ribs. Oh my. great foods and that salad is so appetizing. You are one of the best in terms of Food Photography SUMI! galing! I really love TGIF! Their prices are not that affordable pero worth it :) Kaya naman it's on my list of top restaurants in the city. TGIF place and food are AWESOME. As well as your photography...THE BEST! Though food are bit pricey but they still have good service. TGI Friday's a bit expensive resto for me. Maybe soon, I'll be able to taste the food that they offer. No doubt TGIF is great! TGIF is indeed expensive pero masarap kasi! hehe kaya we go pag may special occasions, or pag may nalibre hahaha! I love their baby back ribs. This is what I eat everytime I visit Friday's. Love the ambiance too.